The RS Aero Australian Nationals are confirmed for December 6th to 9th, 2018 at Port Stephens, NSW, with support from RS Sailing UK and Rooster. The Championships will be a wonderful build up to the 2019 World Championships in Australia, taking place a year later in December 2019. If you have any friends wanting to charter a boat for this years Nationals please email Tom Pearce at Sailing Raceboats (or call 0487 780 706) as soon as possible as there are a few boats available. 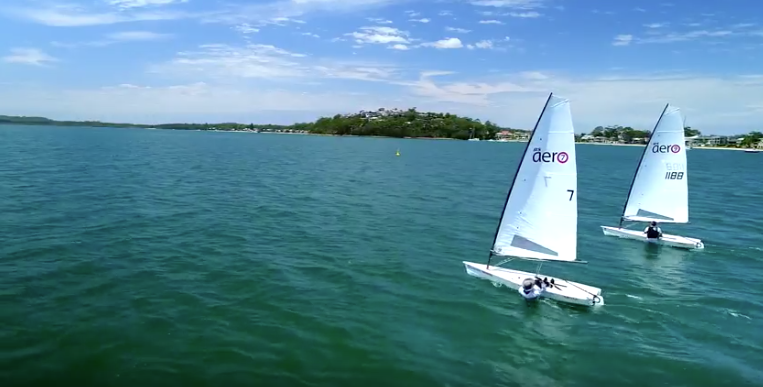 Expressions of interest are sought from those who might like to have their Aeros taken to Port Stephens and back by a Sailing Raceboats crew. This would mean you could attend the event on a fly in / fly out basis. Email Richard Furneaux at Sailing Raceboats if this could be of interest. If you are a without a trailer or roof racks, we can organise to double stack trailers. Contact Nick Collis-George to help arrange. Port Stephens is a couple of hours drive north of Sydney. The club is located on the eastern shore of Soldiers Point within Port Stephens, with a lovely sandy beach and grassy launching area. Sailing is on Salamander Bay with predominately north easterly to south easterly sea breezes.